The items have been provided for review but all opinions are my own. One of my favorite things to do is get Mani's especially for holidays. I have over 50 nail polishes that I share with my daughter, She also loves doing her tiny nails. I also like to take my own polish when I go to the salons, in case one chips I have the color readily available. 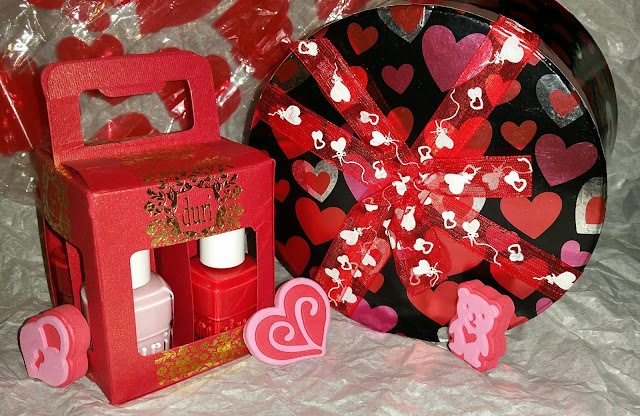 Well I am going to give you two great options for nail polishes gift boxes you can make for your Valentines this year. Here is a brand that I am new too but I am trying out and so far I like them. This is a great way to get mani/pedi's in a fun, festive and amorous mood. Customize your Valentine's Day Gift Box by picking your four favorite colors in a red and metallic embossed box. Individual bottles retail for only $6 each and the Gift Box 4-Pack retails for $24. Available nationwide at www.duri.com. I think the colors above would fit great into the valentines Day theme. You will have your reds and pinks covered, not into pink? 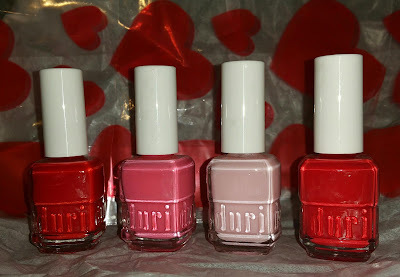 Duri has over 200 colors to choose from so go check them out at the Duri Website or Amazon and customize your V-Day Gift Box. They even have different colored gift boxes to choose from, the one above is the red and gold. Here is a brand that you may already know, Sinful Colors. They are in most drugstores and in retailers like Target and Walmart. 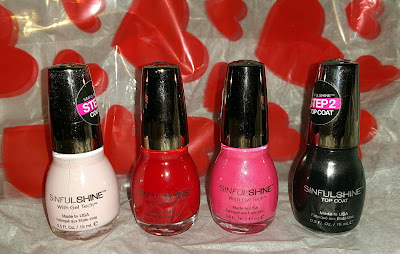 Sinful Colors now has "Sinful Shine" which is their take on the gel manicures (no-chip). There are a variety of colors to choose from, the actual colors themselves would be considered "Step 1" then you have to get the Top Coat which is "Step 2". The colors above I picked to keep inline with the Valentines Day theme. You can find these and more online , Amazon, or at your local drugstore. 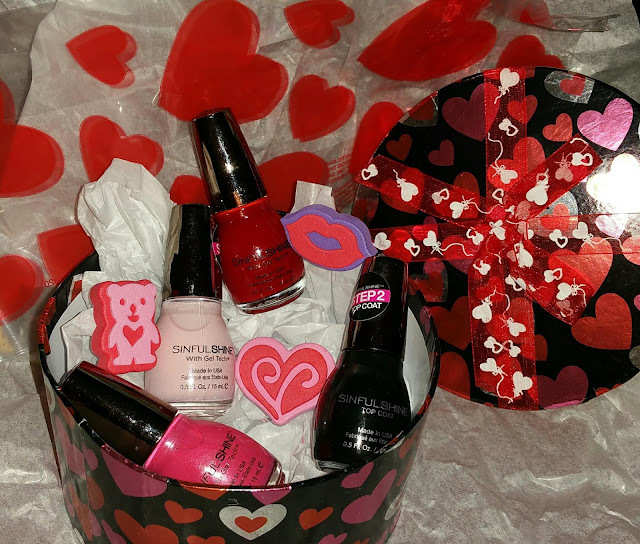 For both Valentines Gift Sets I used a box I bought from Dollar Tree and just filled it with tissue paper and added the polishes. You can get bigger boxes and add chocolates and other V-Day items or gifts you may have. These are also cute to give out in a treat bag for the older girls in High School or even just your girl friends. I will be posting pictures of the actual colors on my nails on my Instagram and Facebook Pages so look out for those. Beautiful colors- suitable for the summer!